After breakfast at 06.00 Start from the campsite, and get ready for trekking after registration. We will start trekking from Benang Stokel or Aik Berik Village, we will go through tropical forests and savanna, after 2 hours from our initial zone, we will find post 1 (Monte 800M) and enjoy with Rinjani endemic and tropical forests. We will continue the journey for 1.5 hours until we find post 2 (Kayuk Malang 1.400M) where your lunch will be prepared. After the break, we will continue to Post 3 (Cemara 1.850M) and then 2 hours with a steep journey to find Pelawangan Batu Belah / Crater Rim (2,600M). Dinner and camping overnight (Breakfast, lunch and dinner). At 7:00 a.m. after breakfast enjoy the panorama and you can also take advantage of the moment with the camera. Transfer to BCA our account as a 50% deposit and the remaining payment after climbing Mount Rinjani in Aik Berik is handed over to our coordinator, our team or to your guide. Your porter will bring food, tents, sleeping bags, mattresses, tarpaulins and kitchen utensils and other necessities during the climb to Mount Rinjani, if 2 climbers, the porters we provide are 2 porters and 1 guide but, not including carrying your luggage to the porter. If the luggage is very much needed for personal needs to Mount Rinjani, then there is an additional porter / extra port fee, the additional porter fee is IDR 175,000 per porter per day, so that during the climb on Mount Rinjani it will be a total of 2 DAYS extra porters to IDR 350,000 for one porter. The load on our porter’s shoulder is fixed at 20 kilos, yes … the porter will follow you everywhere during the climb on Mount Rinjani. Payments are made directly to our porters after climbing activities arrive at Aik Berik. We recommend that things that do not need to be taken up to Mount Rinjani such as snorkels, so that the items must be packed before leaving our driver on the first day of arrival at the Aik Berik. Our luggage or luggage will be safely left in the luggage storage area or leave your luggage in our office, after the climbing activity arrives at Aik Berik, your baggage will be brought back by our driver or coordinator. We request confirmation of arrival date, flight name, hours of arrival in Lombok, from and destination, include the name of the climbers to make it easier for us to monitor as visitors to Mount Rinjani, please tell us the cellphone number, that we can contact each other during the climb on Mount Rinjani. 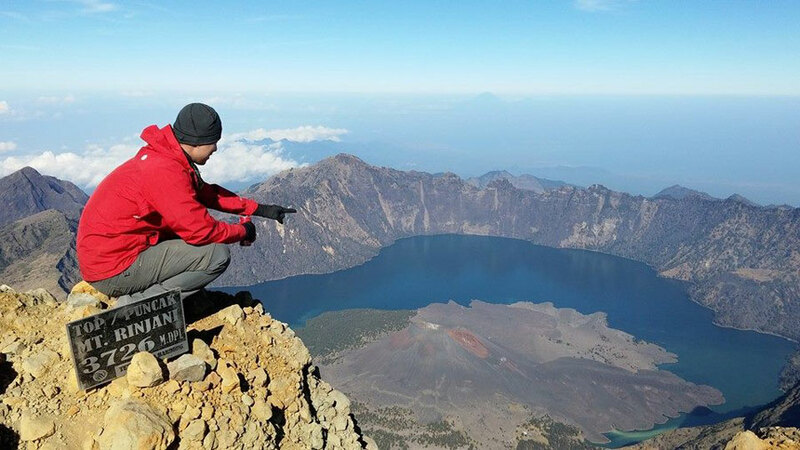 We provide a package climbing to Mount Rinjani 6 days 5 nights including transport a shuttle from Lombok Airport and availability of your accommodation local hotel in Senaru before trekking in the morning, so the activities during the ascent of Mount Rinjani to 4 days 3 nights. Yes, this package is perfect for novice climbers and climbing very relaxed, first night at local hotels in Senaru under foot of Mount Rinjani National Park, Start trekking mount Rinjani from Senaru – overnight in campsite Plawangan Senaru crater rim to see the crater Lake Segara Anak – overnight in campsite Lake Segara Anak – overnights in campsite Plawangan Sembalun Crater Rim – Go Summit Mount Rinjani – descending Sembalun Lawang village – one night and include Snorkeling surrounding Gili Trawangan – direct to go Airport Lombok. Arrival Day: Our team will pick you up at Lombok Airport or Mataram city and Senggigi area, then our team will transfer you by private car and join together in one car leads to your hotel to Senaru under foot Mount Rinjani riding reach during 3 hours. After arriving at your hotel in Senaru, the guide will welcome you to give directions or briefings to prepare for climbing tomorrow morning to Mount Rinjani on condition of fitness level well. DAY 1. Airport Lombok – night at local hotel in Senaru under foot of Mount Rinjani National Park. DAY 2. Senaru Village – night in camp Plawangan Senaru Crater Rim and altitude 2641m. DAY 3. Plawangan Senaru Crater – night in camp Lake Segara Anak. DAY 4. 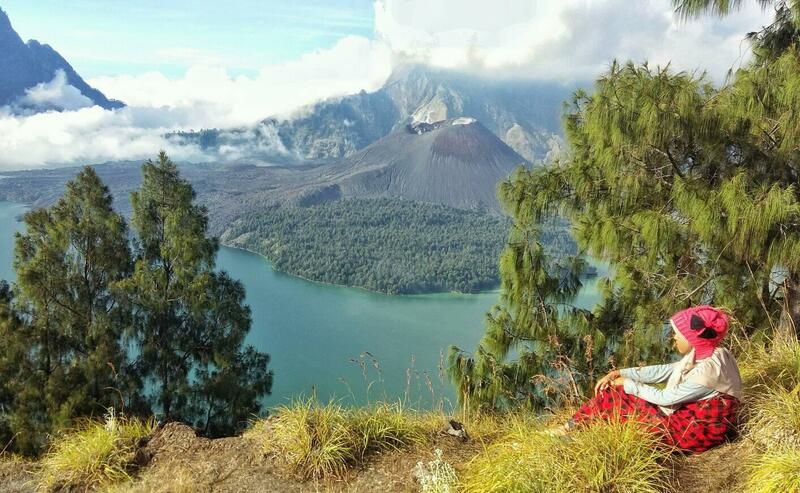 Lake Segara Anak – nights in camp Plawangan Sembalun Crater. On the shuttle from the Airport Lombok to the village Senaru takes approximately 3 hours, overnight at local hotel in Senaru village. 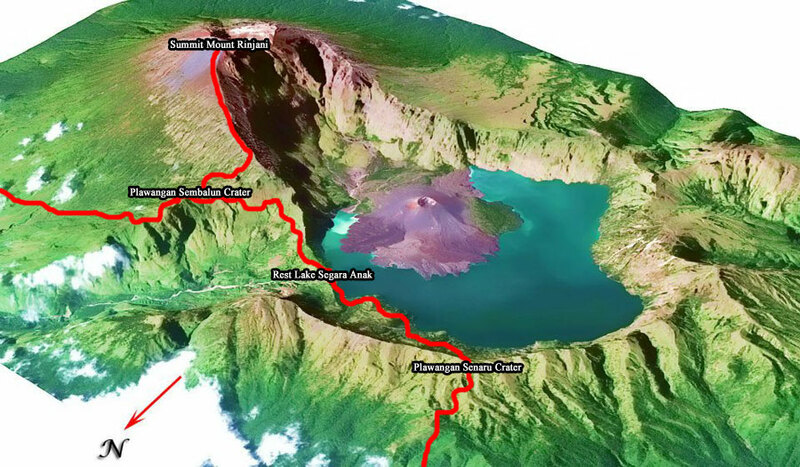 After lunch leave the Lake Segara Anak trek up to Plawangan Sembalun Crater rim 2639m approximately 3 and half hours. The trek route in this point is also steep and rocky, your guide and porters will assist and give you extra attention. – Snorkeling tour with boat Gili Trawangan including swim fins and mask 5 hours. 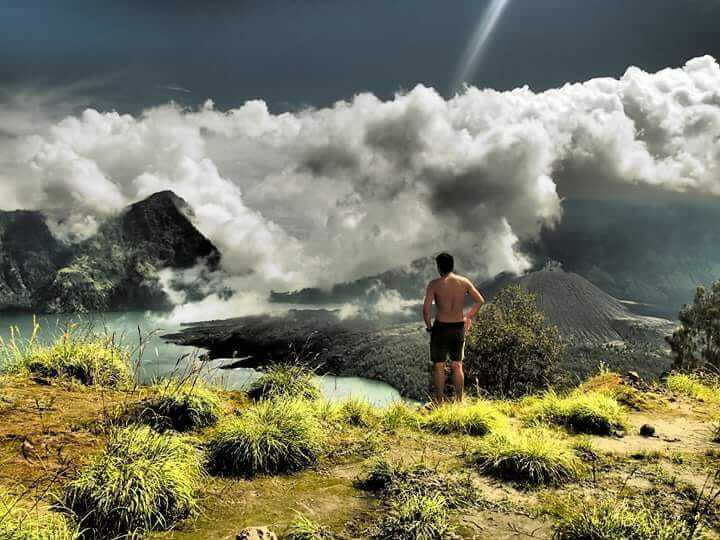 Why start climbing Mount Rinjani in the morning? Your porter will carry food, tents, sleeping bags, mattresses, tarpaulins and kitchen tools are included, the porters are all very fit bring all stuff to mount Rinjani each 20 kilos, and not include carrying your bag to the porter, When the guest are 2 people as climbers, we use 2 porters and 1 guide. If you want to bring luggage to the personal items to Mount Rinjani by our porter then there is extra porters, additional cost extra porter fee is IDR 175,000 per porter per day, resulting in pay during a hike on Mount Rinjani 4 DAYS, quotation during the ascent of Mount Rinjani to IDR 700.000 per one porter. Load fit on the shoulders of porters fix 20 kilos, yes .. porter will follow you during the ascent of Mount Rinjani, payment is made after climbing activities and paid directly to the porters. Preferably things that do not need to take it your bag to climb to Mount Rinjani like a snorkel, so items must be in packing before climb in the morning from your hotel. Your luggage will be stored securely in locked warehouses Lembah Rinjani Hotel OR in our office, after trekking activity arriving in Sembalun Lawang village, your luggage will be taken back by our coordinators or your driver and the same car, no additional cost everything and it’s the usual things we do with our guests. 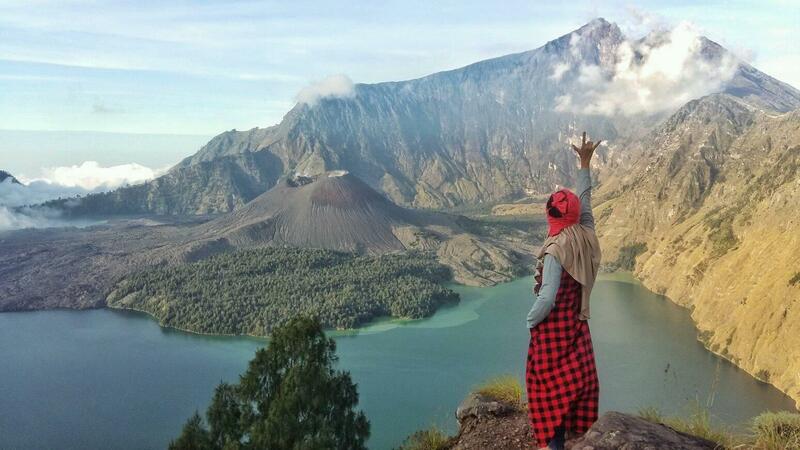 If you want to climb from Sembalun Lawang, makes it easy to go to the Summit of Mount Rinjani. If you start to climb from Senaru, Possible for a climber to summit Mount Rinjani, but it is not suitable for novice climbers / beginner climbers, because the mileage to the Summit of Mount Rinjani far enough. 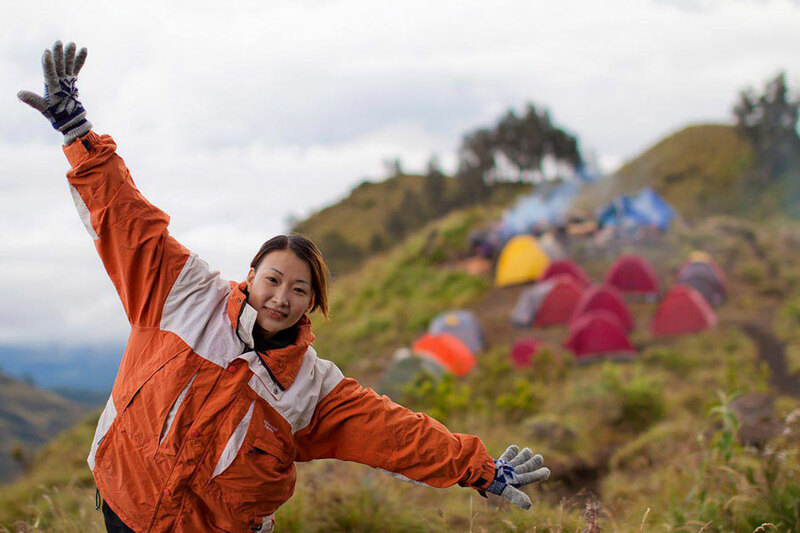 The novice climbers are very suitable for short-periods trekking mount Rinjani package 3 days 2 nights via Senaru including hotels under the foot of Mount Rinjani before starting to climb in the morning, the activity of climbing over on Mount Rinjani into 2 days 1 night. 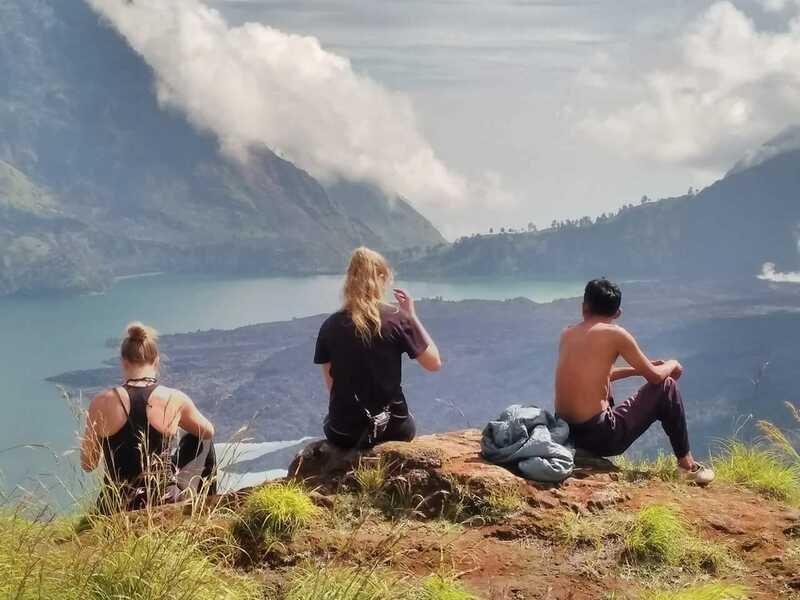 The novice climbers are very suitable for long periods trekking mount Rinjani package 5 days 4 nights via Senaru including hotels under the foot of Mount Rinjani before starting to climb in the morning, the activity of climbing over on Mount Rinjani into 4 days 3 night. The closure of hiking paths is one form of management of the climbing is done in order to restore or recovery of ecosystems, the anticipation of danger of fire due to drought, cold weather and the anticipation of the rainy season that accompanied the wind that may harm the climbers. There are 2 closing mechanisms, namely a routine and incidental (at any time when needed) the certainty of closure will be issued by the clerk of the National Park of Mount Rinjani and announced through the entrance and in the Office of the National Park of Mount Rinjani). The closure of the hiking paths are routinely done during planned every year once at the time of the rainy season at the time specified during the early January to March, other than rain and strong winds accompanying the danger at any time can occur also as conservation of nature, Mount Rinjani National Park will open again in early April, it is already customary in each year. Not comfortable, if you’re a backpacker walks alone toward Sembalun or to Senaru villages starting point for climbing the mountain Rinjani, you will be taken by someone not knowing the good ethics around Sembalun or Senaru villages, the impact of noise bad behavior by people around you, resulting in confusion and of course you will learn losses can not be expected. 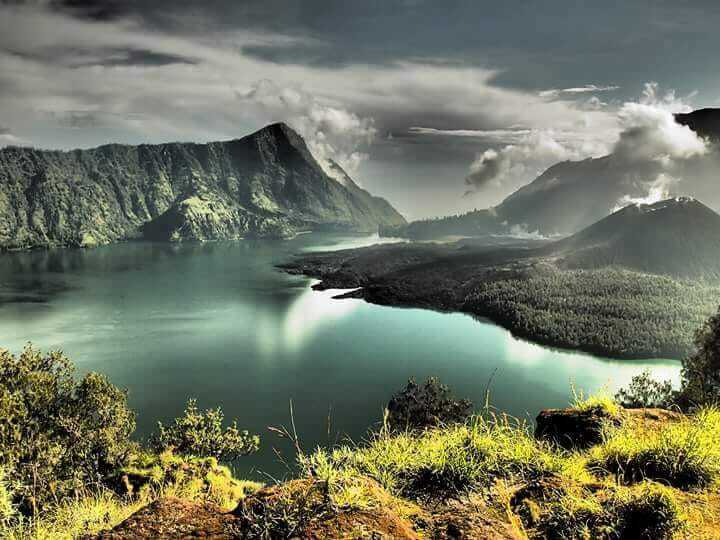 Sembalun Lawang is set in the lush and ancient Caldera on the East side of Mt. Rinjani, the preferred access route for the summiteers. 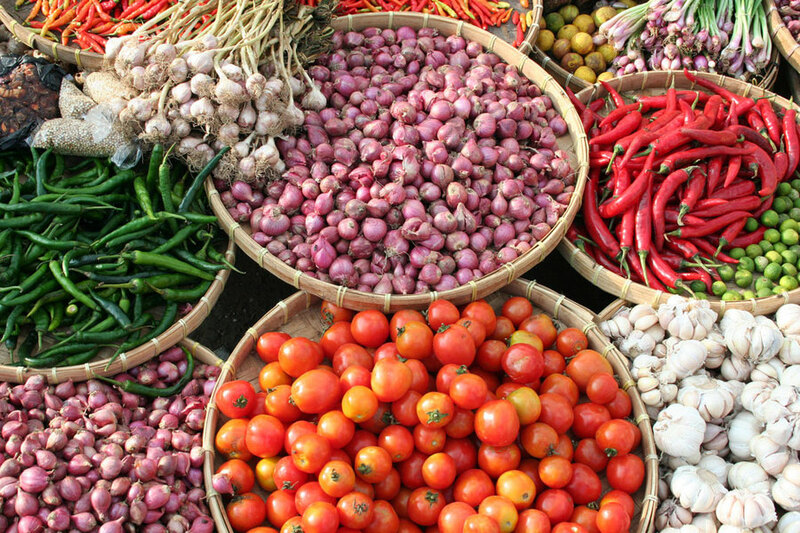 Rich soil produce high quality market garden plants, including the famous garlic and rice, the staple of local farmers. Seismic activity is monitored on a daily basis at the Government’s Volcanology Centre Rinjani. The beautiful valley of the Sembalun regions also known as Hill swerved up and running, the restored traditional village culture, artists and active local weavers. Home stay accommodation a few available and travel service based in the Rinjani Information Centre of the National Park. Certainly our guides can take you about local streets namely Sembalun Lawang Village Walk, to experience the beauty of the views of the village or/and the Sembalun Lawang Wildflowers Walk. Sembalun regions divided into two villages, i.e. the Sembalun regions Lawang Village and the village of Sembalun Bumbung as far apart as 2 km. traditional two villages the famous village has a lot of history about the Sasak people. The area looks like a lake dried up, turn into fertile soil. Sembalun Lawang regions, as the attractions are well known both within and outside the country, because from this village climbers began hiking to the Summit of Mount Rinjani in order to enjoy the beautiful landscape. In The Village Of Sembalun Lawang. There’s a village Beleq, where you can see the traditional houses artifacts of the local community, the tomb of Majapahit Sembalun regions or Gajah Mada and traditional dance Tandang Mendet from the local community. There is a large statue side gate in Sembalun Lawang two large ‘ onion ‘ indicates that this area was once one of the largest producers of onion (onion)/garlic (garlic)/red onions (shallots) in Indonesia. In Sembalun Lawang is the Rinjani Information Centre. 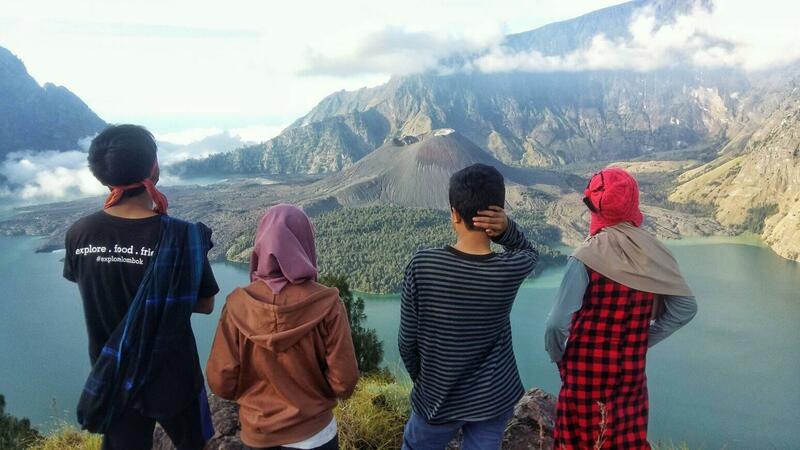 Nearby is the Rinjani Volcanology default. To the West, there is the project’s main greenhouse using hydroponics and soil engineering there, producing vegetables for the local and export markets. Most visitors arrive via the village of Senaru (600 m), on the northern side of the mountain and thus closer to the main resort areas of the west coast including Senggigi. The other possible entry point is Sembalun Lawang (1150 m), on the eastern side, which is closer to the summit. Both villages are accessed from the main north coast road. Hotels in Sembalun is a friendly place to stay overnight in the Valley of Mount Rinjani. Surrounded by traditional villages of the beautiful Sembalun Lawang and it’s lush green mountainous areas around the slopes of Mount Rinjani mighty as the highest peak in the southern part. Cool weather is very comfortable for overnight House which is set in the form of bungalows, there are fields of vegetables and beautiful garden with two large gazebo and a small one, it has comfortable rooms and observe the private veranda and bathroom in each room. We serve the cuisine of Indonesia, the West and Asia. We can also prepare for group dining, please contact us to make arrangements for group meals. Depending on the season, growing vegetables in the hotel, the Favorites Menu at the restaurant especially the Curried Chicken vegetable Rice Mix Hotel and Restaurant in Sembalun Lawang. Ask for a warm drink and our specialties, naturally spicy is sure to warm the cold at night in Sembalun Lawang. If you have spare time arrived at Lombok in the morning, there are many activities you can do while you are in Sembalun Lawang areas. Like the strawberry plantation visit can plunk itself, traditional house village Sembalun Lawang, location of waterfalls in Sajang and other tourist attraction the day before the start of climbing from Sembalun Lawang. In addition, there is a pretty little restaurant we can warm the cold temperature of the favorite dishes of Curry Chicken, fried rice, many other menus are available at all times. Our staff attend to your every need. In addition, Hotel in Sembalun Lawang is one of the main defaults of the nearest to start climbing that makes it easy to climb the highest peak of 3726 meters. If you do not want to hike, you can observe the atmosphere of a cozy and relaxing sitting at home or you can drive around to explore the beautiful scenery and hunting with a camera in the surrounding area.